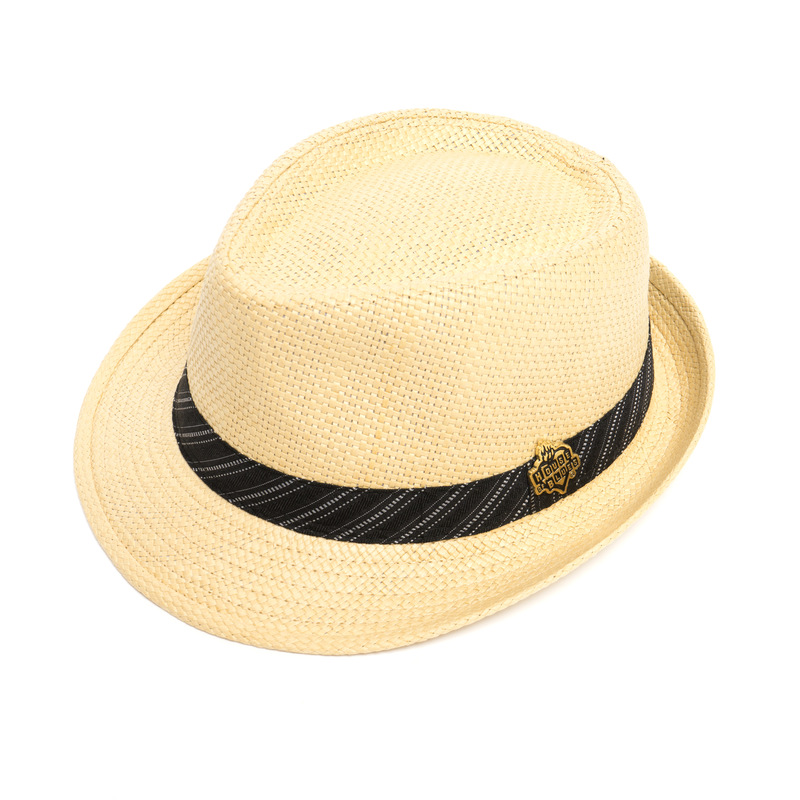 This sand color fedora is made from matte toyo that is adorned with an antique gold House of Blues logo pin. The black and blue band wrapped around the hat is matched with the blue in the skull screen print inside the fedora. 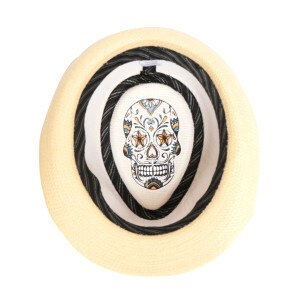 This fedora is offered in two sizes, L and M.